A live-action retelling of the 1992 Disney classic of the same name. Featuring classic songs from the original and brand new music, this is a musical romantic fantasy adventure about a street urchin who falls for the Sultan’s daughter. 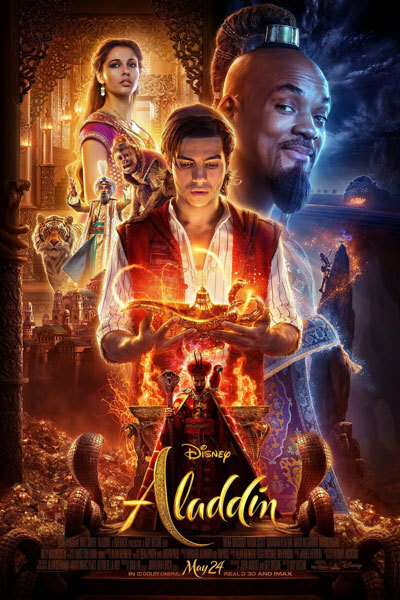 Directed by Guy Ritchie and starring Will Smith as the Genie alongside Mena Massoud, Naomi Scott, Marwan Kenzari, Navid Negahban, Nasim Pedrad, Billy Magnussen, and Numan Acar.